These days renting an apartment or condominium is increasingly common. Acquiring your own home has become costly thus, as a result not everyone can afford it. Having said that, living in an apartment or condominium, or similarly in a small home can mean limited space. If you are dreaming of growing a myriad of plants and flowers, then the solution to your dilemma is gardening with plant pots. Accessibility – Gardening thru pots is convenient that even kids, older people, or those with back problems will have no problem accessing it. 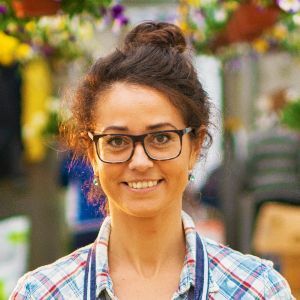 Portability – If you are renting the space you are living in when the time comes that you need to transfer you can readily move the pots with you. 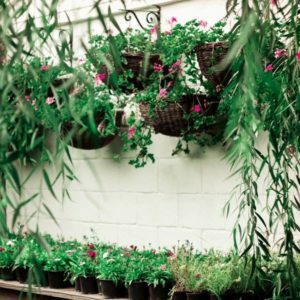 Versatility – When you work with plant pots, it permits you to grow flowers, herbs, or vegetables within your limited area. 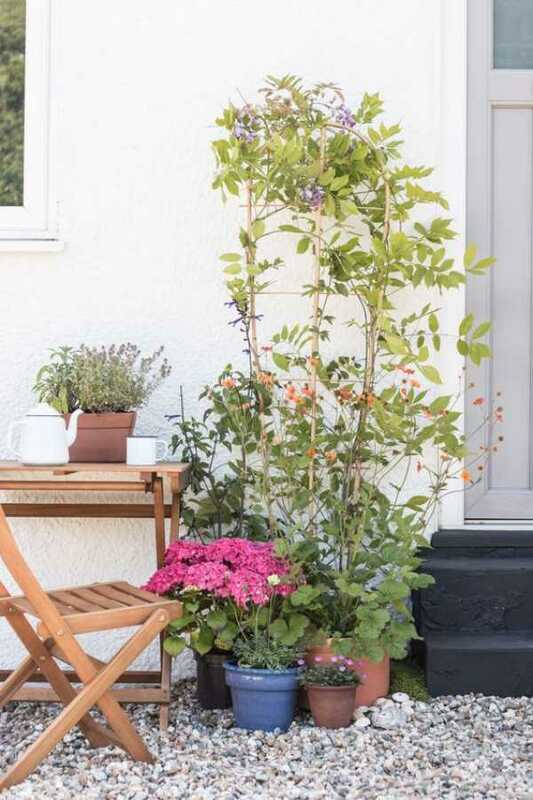 Flexibility – With a potted garden, you can instantly reassemble your pots depending on your individual taste, climate, or perhaps the season. In general, you don’t need to stick to the regular brown pots for your garden. 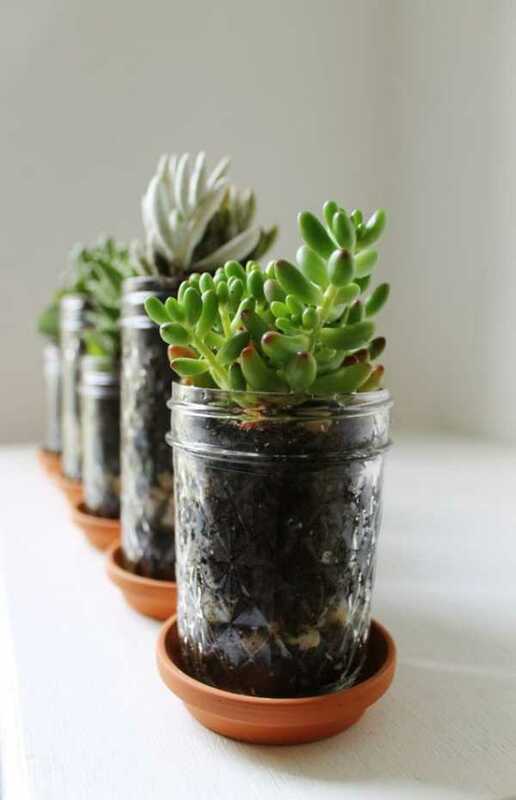 With a bit of creativity, if you have jars, cups, buckets, cans, or containers in your home it will pass as your plant pots. To give you an idea on how you can carry this out, here is our list of 41 plant pots for your potted garden. 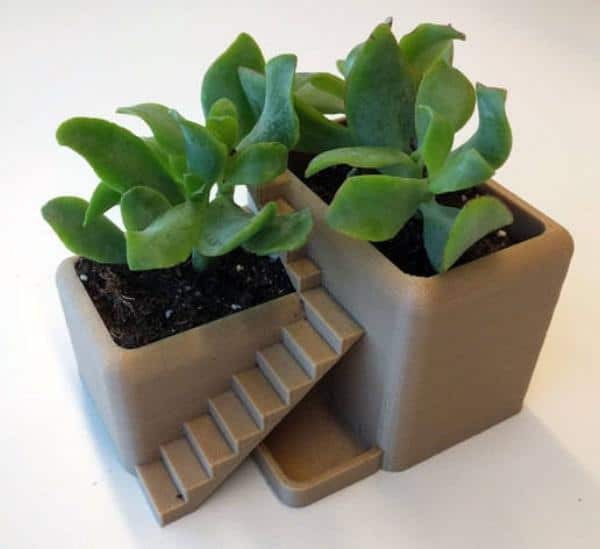 The Mini Cactus Plant Pots includes drainage holes and a walk-up design. Drainage holes are essential since not all plants will need considerable moisture. Aside from water drainage, it is important so that air can openly flow throughout the pot. 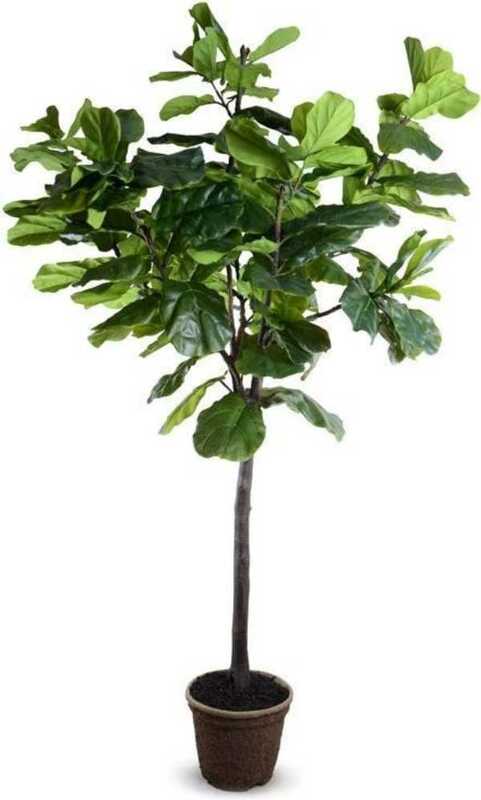 One of the benefits of ceramic plant pots is that it allows water and air flow at its sides. This will result in root development bringing you better and healthier garden plants. 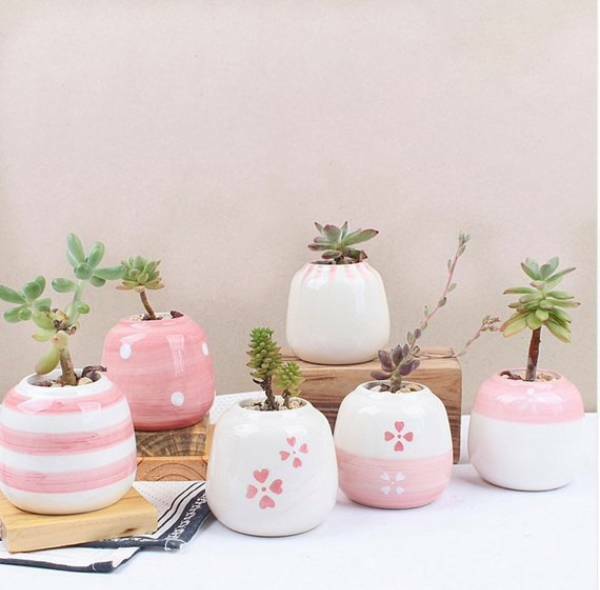 Your collection of succulent plants will feel at home with this set of 6 mini ceramic pots. 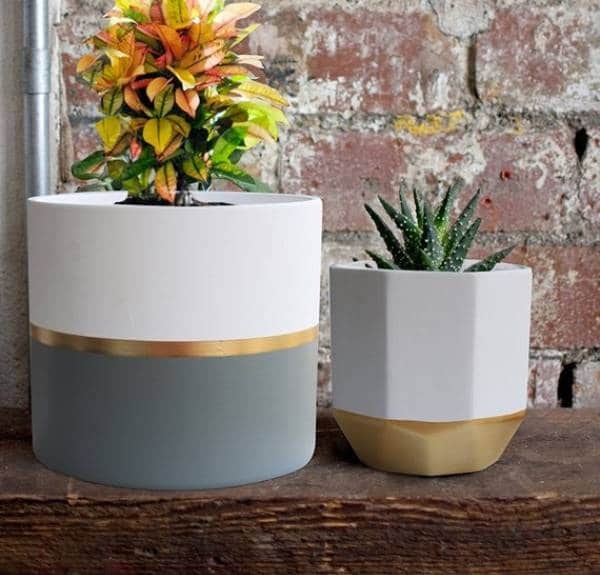 In this case, your potted garden will look elegant with this gold and grey indoor planters. These decorative pots do not have holes. Thus, be careful not to over water. In situations that you feel you over-watered, tilt the pot gently and let the extra water flow. 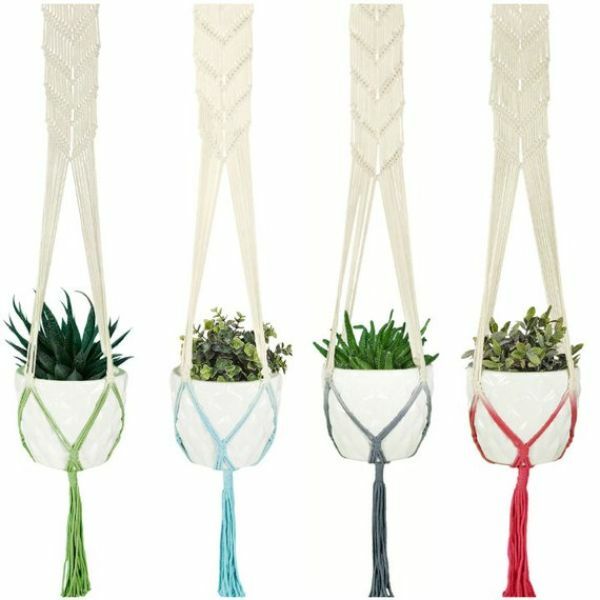 A limited area is not an issue when you use these plant hangers. The material is 100% cotton making it biodegradable and environment-friendly. With this kind of set-up, remember that plants quickly dry out so don’t forget to routinely water it. Again, a modest space should not prevent you from having a garden. To solve your problem, try a hanging terrarium. 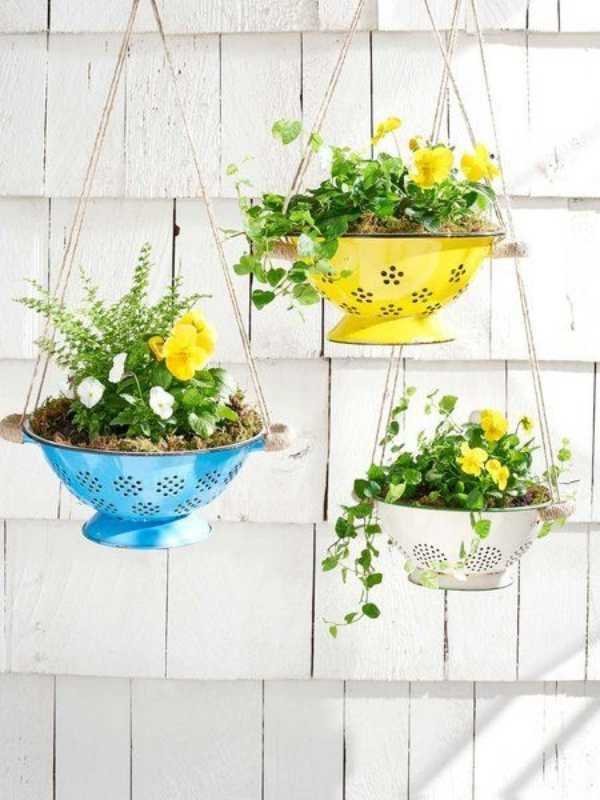 These hanging planters will display your plants beautifully. Like the previous sample, don’t forget to water your plants regularly to prevent drying. 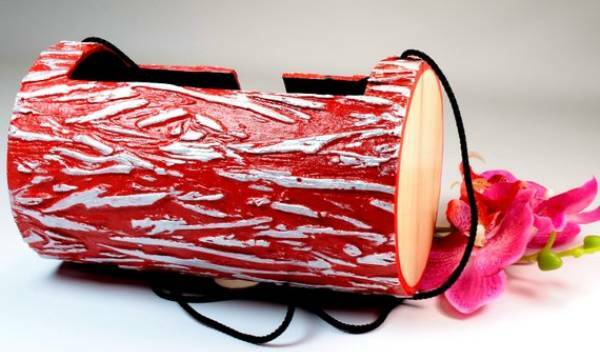 This red handmade hanging pot will look fabulous both inside or outside your home. It is built from plastic which does not soak up water. A feature that is a huge benefit for those who can’t water their plants regularly. 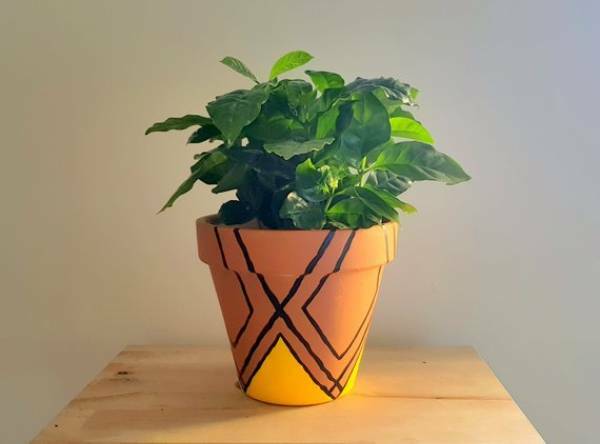 Apart from applying a fresh coat of paint, you can also decorate pots with your favorite design. This clay pot with geometric pattern is a good example. The pot’s material is Terracotta which allows air and water circulation within. With this component, you can avoid root rot. 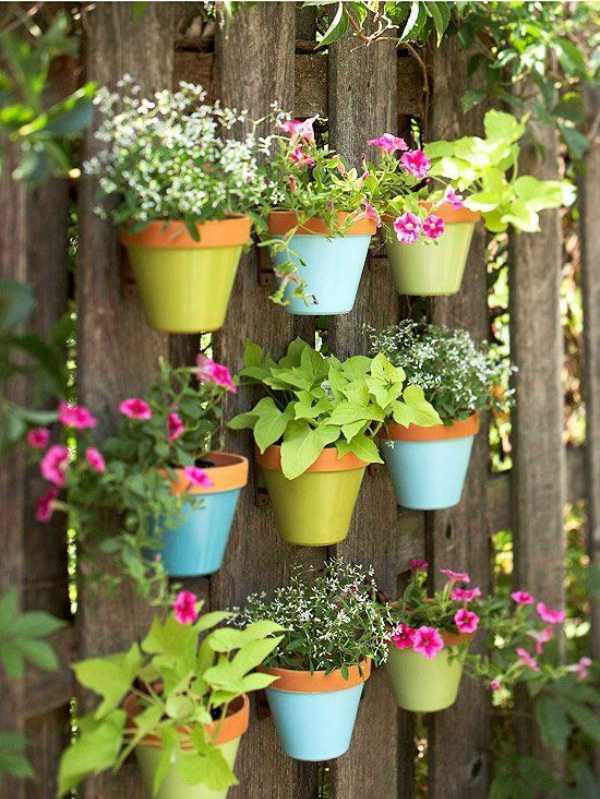 Besides placing pots in your balcony, you can likewise put to good use the walls of your home. 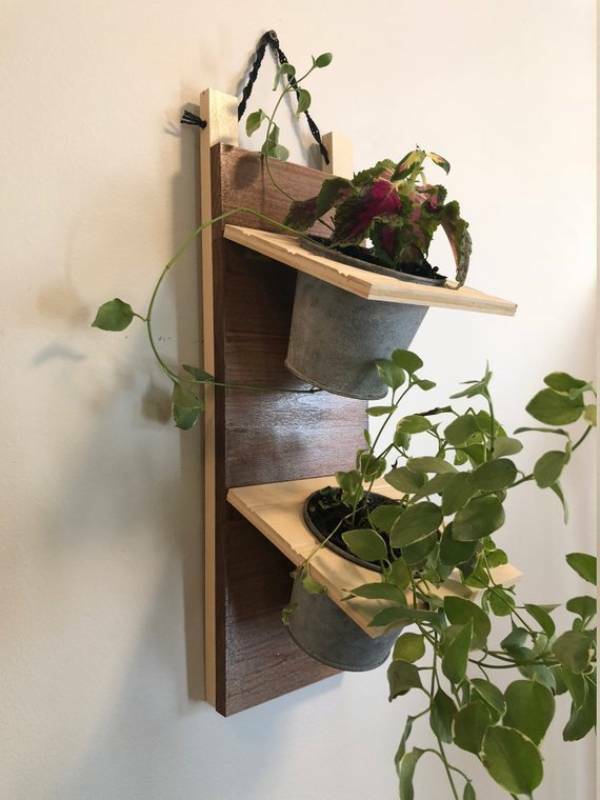 This wall planter is incredibly crafty, right? If you have rowdy kids, you can prevent your plants from being damaged with this set-up. 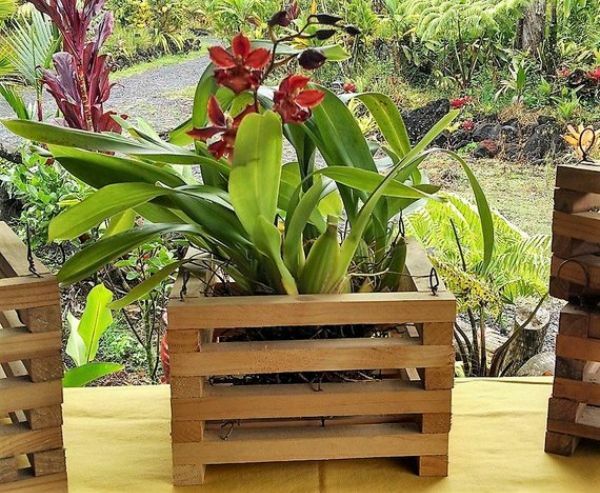 Searching for something eco-friendly and rustic to hold your plants? 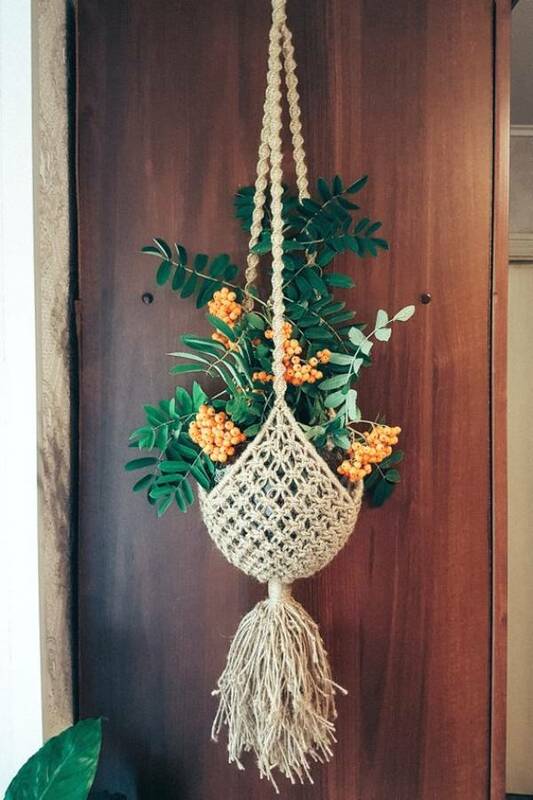 Take a look at this Macrame plant hanger. While you are able to relax with your plants, you are likewise helping the environment by using safe and friendly materials. 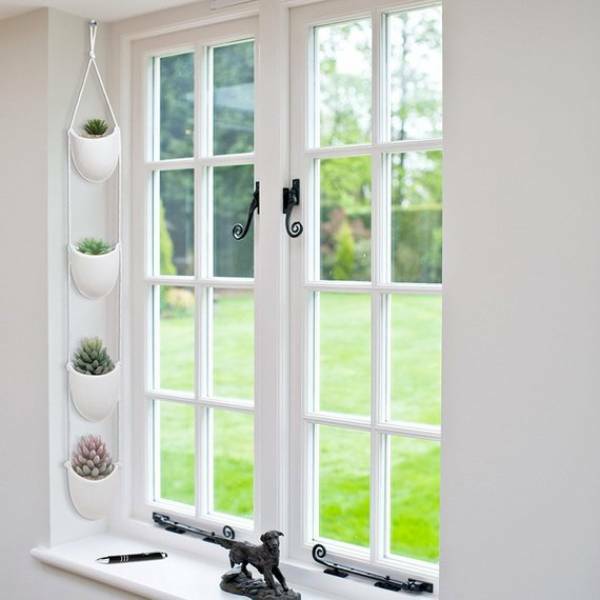 Those huge and wide windows will bring in more fresh air when you place this ceramic hanging planter beside it. At the same time, your plants are sure to be safe and healthy since it has a drainage hole at the bottom. Once again, baskets are compatible to use as pots. This storage basket is not only clever but playful as well with its geometric design. Essentially, this is a decorative plant pot. You need to take out your plant to water it or put-in a drip tray. 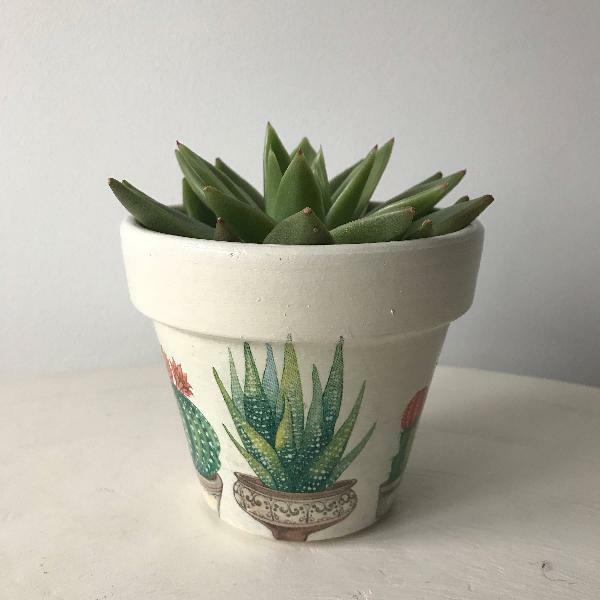 By all means, if you adore art deco items then fill your potted garden with this Vintage Terracotta Plant Pot. It is perfectly varnished making it compatible for both indoor and outdoor use. 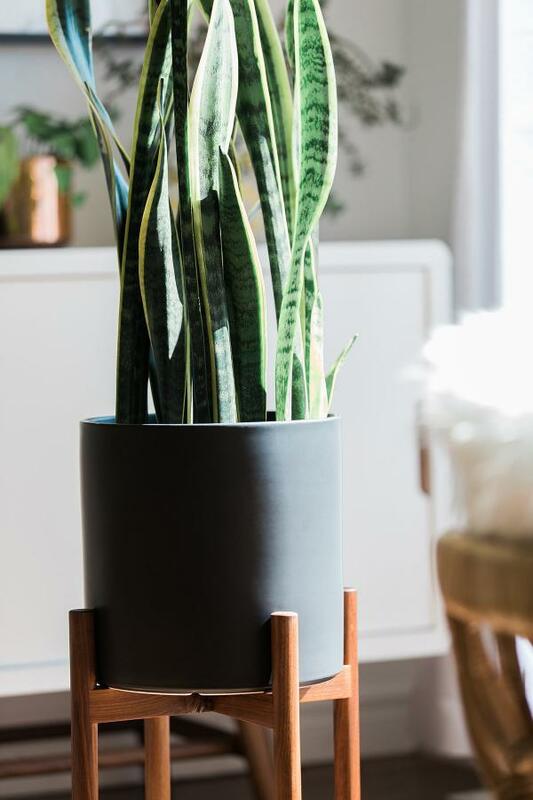 Another classic entry in our list of plant pots is the mid-century modern planter. 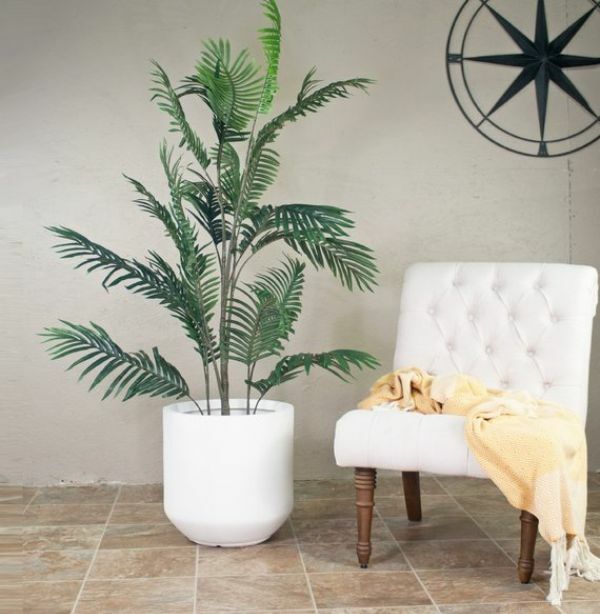 The size of this pot is extra large meaning you don’t need to water frequently. Besides this, with a larger pot your plant can develop a better root system. Artistic gardeners will certainly adore this Colorful Indoor Plant Pot. Instead of the usual neutral paint colors, this pot includes flamboyant-tile patterns. Moreover, another good thing about this product is that you can purchaser it with or without drainage holes. 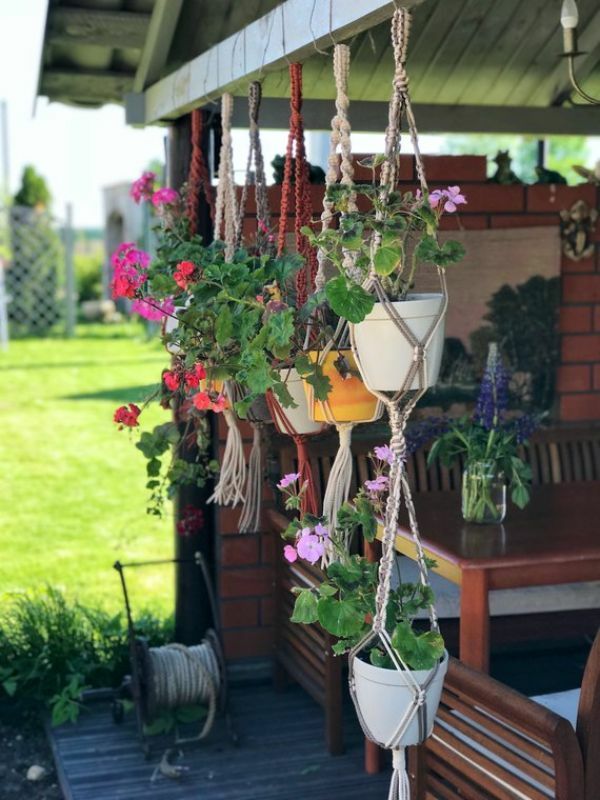 Whatever the season is you can absolutely depend on these outdoor plant hangers to protect your beloved pots. It is made from Polyester which is durable and washable. 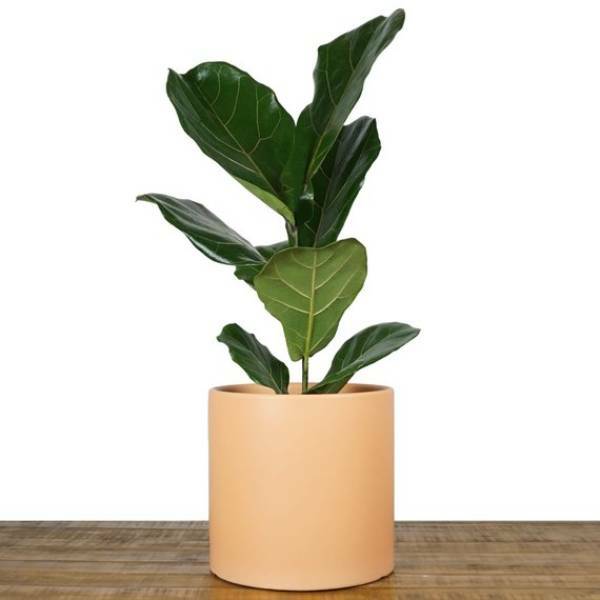 One look at this large indoor peach plant pot and we are extremely certain this will make a great addition to anyone’s potted garden. It includes a drainage hole for a healthier plant or you can request a drainage plug if you need it. Not a fan of colorful hues? 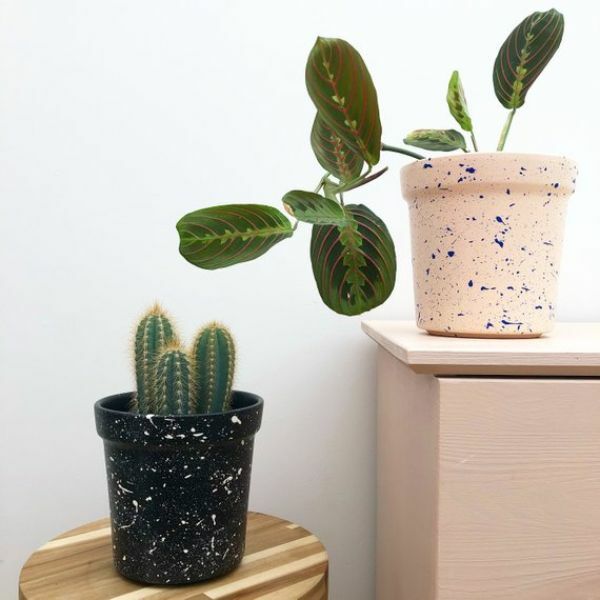 Choose this Matte Black Ceramic Plant Pot with Stand and you can place your plant anywhere without clashing with other shades in your home. Additionally, this product has a detachable drainage plug allowing you to water your plant even if it’s placed on a stand. 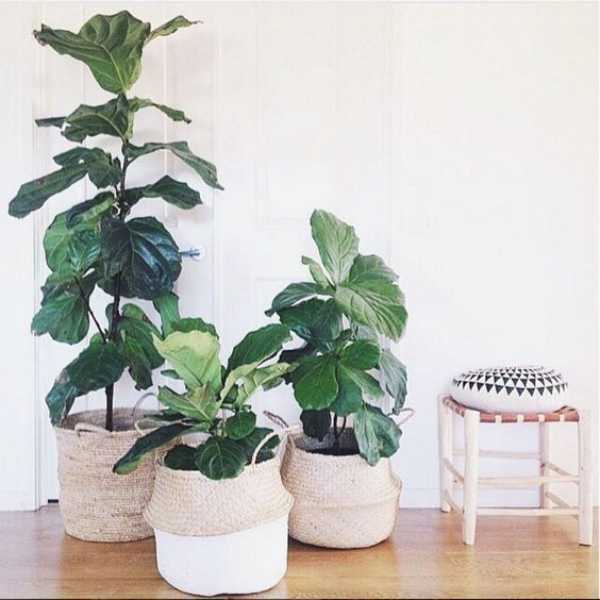 On the contrary, gardeners who prefer a woodsy vibe for their potted garden can either build their own or purchase wooden baskets like these. You’ll be happy to know the materials used in this basket is recycled. 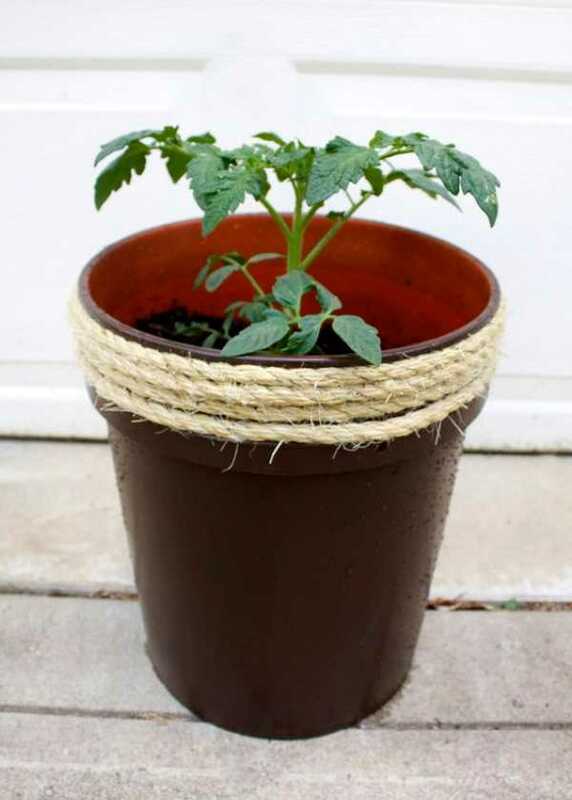 Likewise, you can either hang your plants in this wooden basket or just postion it on your porch. 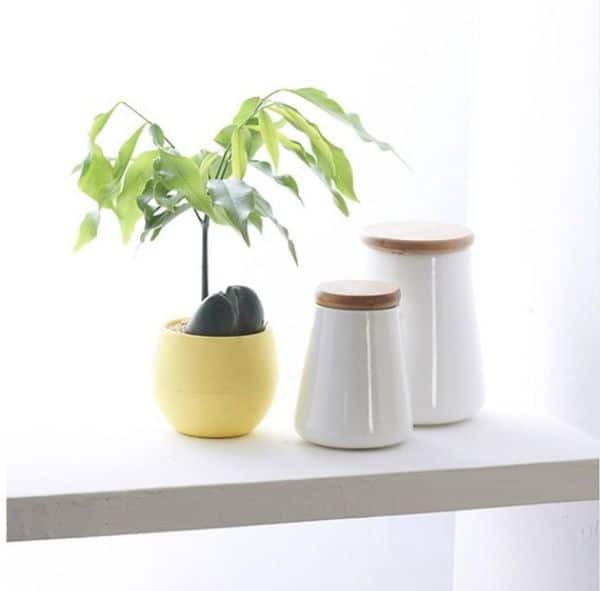 Plant enthusiasts who are searching for mini pots they can safely place on their work table at home or beside the window can pick this round plastic pots. As mentioned earlier, plastics do not absorb water. Hence, the soil will not quickly dry out. 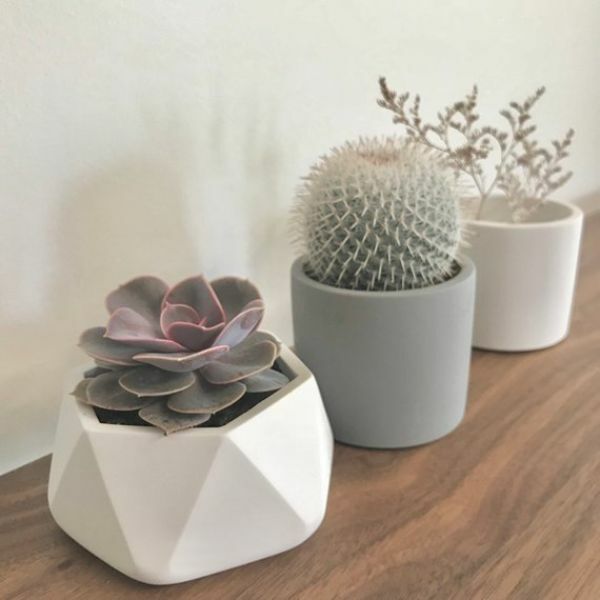 These solid concrete plant pots are for sure worth to hold your precious succulent set. 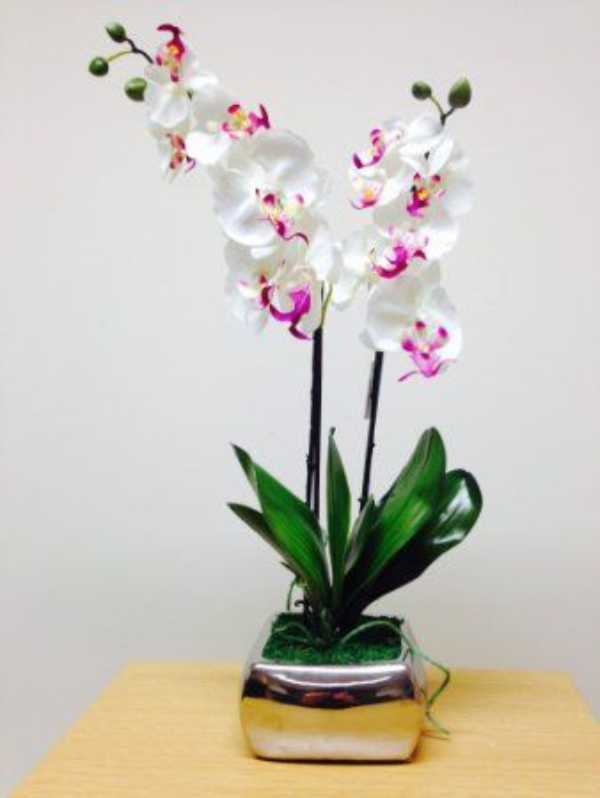 As seen in the picture, the design is minimalist perfect in highlighting your lovely plants. Furthermore, these plant pots have anti-pads on its bottom preventing it from sliding anywhere you place it. According to research, a glass of wine is good for your health. Now if you’re an individual who follows this you must have a collection of wine bottles. 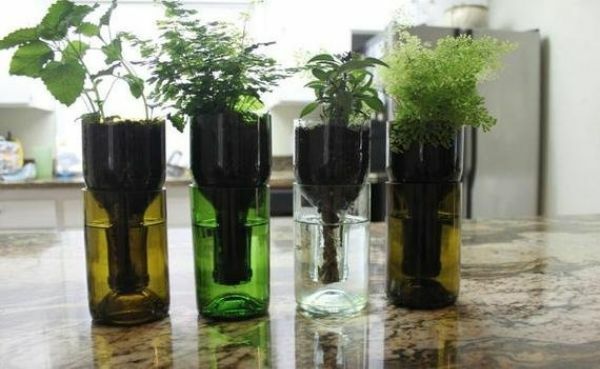 Why not recycle those bottles then and put it to good use like these wine planters. With this arrangement, the plant is self-watering thus, making upkeep very simple. Setting up your potted garden should not be boring work. 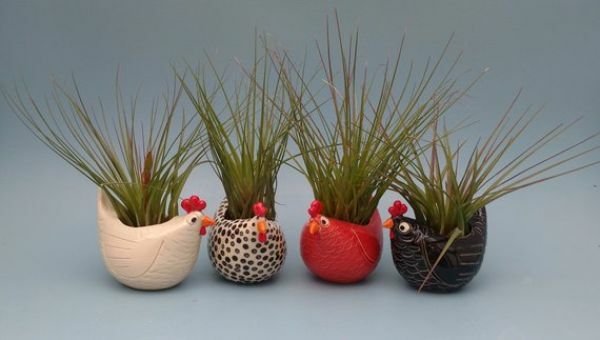 Indeed, gardening can be fun most especially when you own these succulent chicken planters. 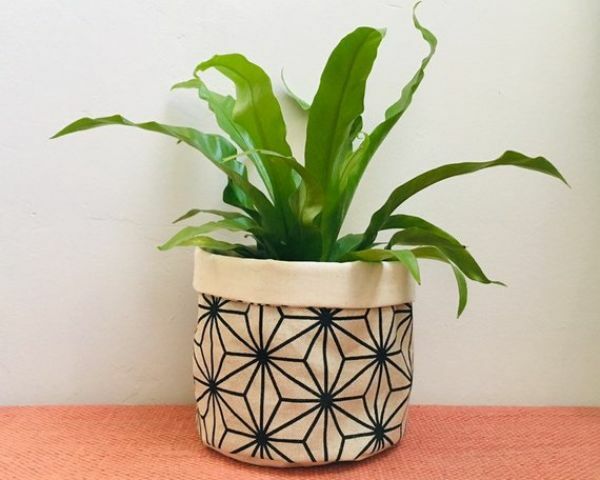 The material used in this planter is sturdy porcelain. What’s more, when you purchase this product, it comes with a card with tips on how to care for your plant. On the other hand, if your work table at home can’t handle the weight of solid containers then choose this medium ceramic pot. While it includes a drainage hole at the bottom, it likewise comes with a bamboo tray to capture water. 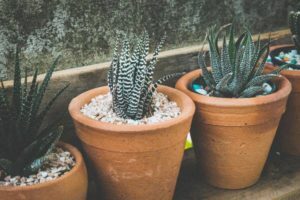 While most people choose cute little ceramic pots, you can likewise opt for a large ceramic pot to include to your potted garden. This particular pot is handmade so you can be sure each design is unique. 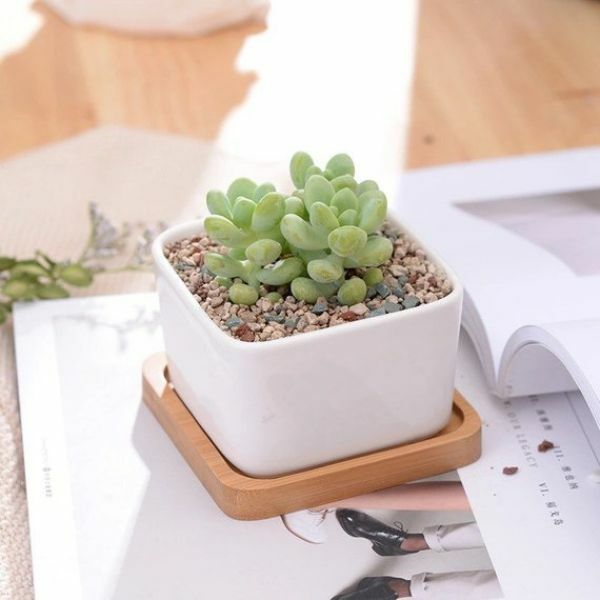 With ceramic’s tendency to absorb moisture, this plant pot is suitable for people who typically overwater. Last in our list is this concrete planter box. Perfect for those hunting for a solid and dependable container they can place in a veranda or a deck. It has drainage holes at the bottom ensuring your plants will healthily flourish. If you are aiming for symmetry in your garden, you can use the traditional brown or black pots. Do you love instrumental music? 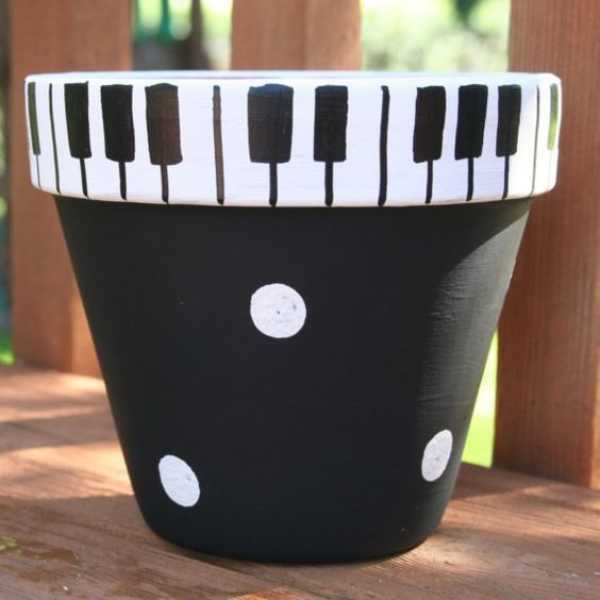 Show your artistic side with this piano designed 6-inch pot. Planning on positioning your potted garden indoors? 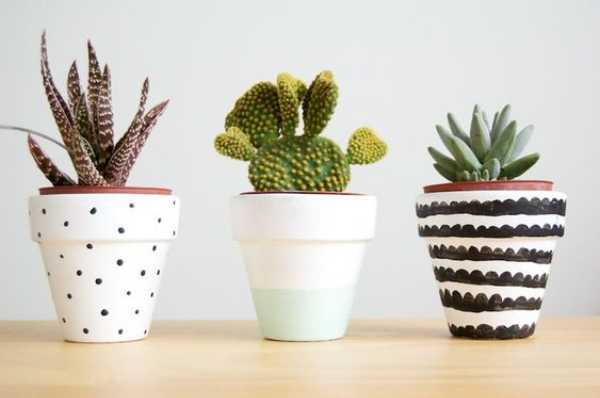 Try these adorable ceramic pots. 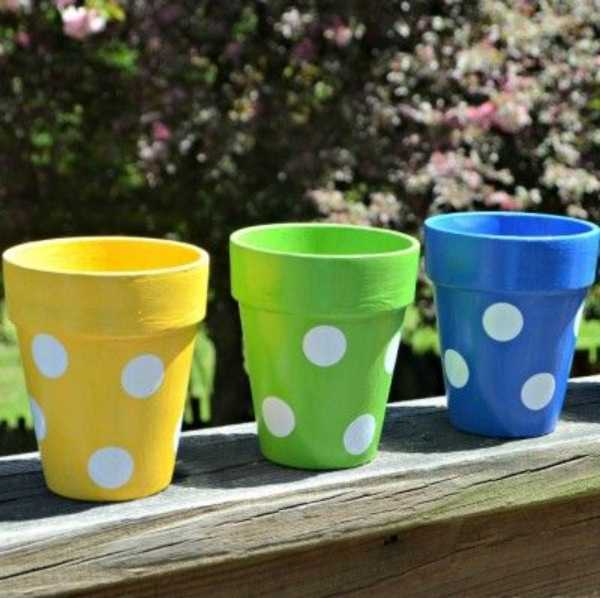 Although plastic pots can easily deteriorate, you can spray paint it to give it new life. In the meantime, you can put your mason jars to good use as decorative pots. 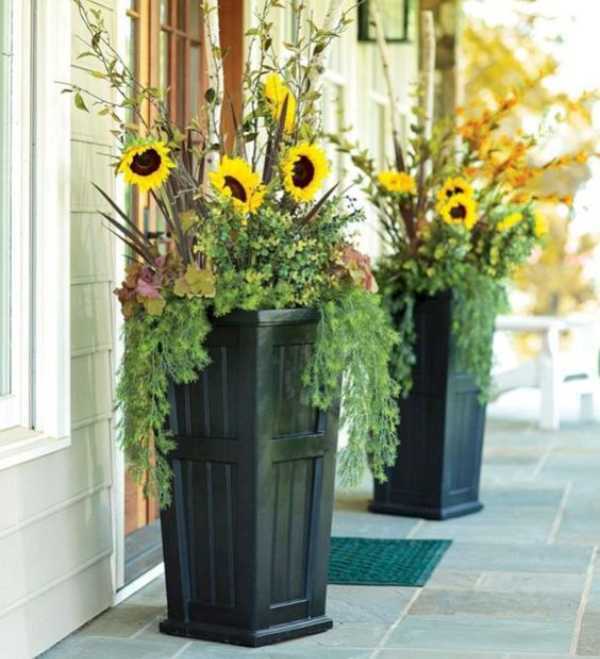 You never have to worry about those back problems with these sturdy and tall plant pots. Specifically, pots can come in various color, shape, and material. 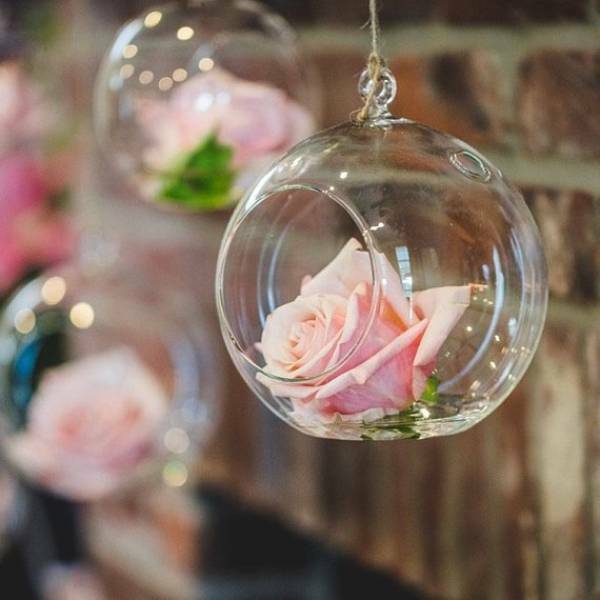 You can place a variety of flowers and plants in it and it will always look invigorating. Have oversized plants in your backyard? 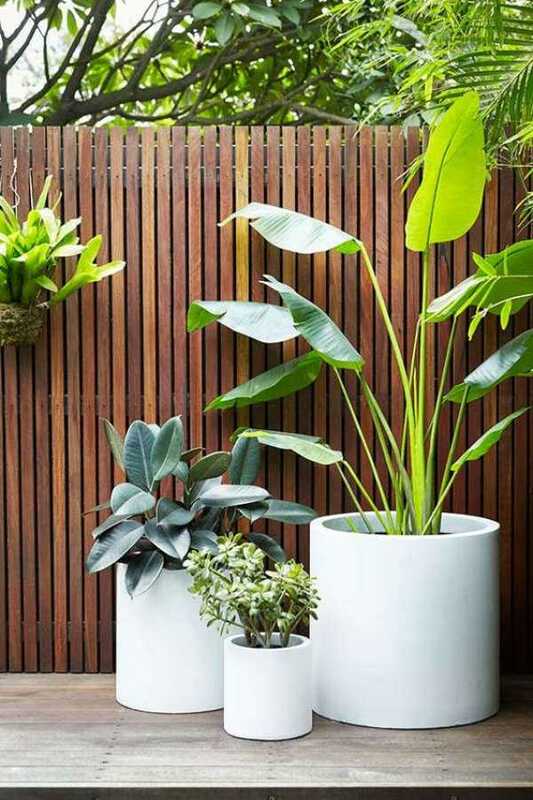 Make the greens standout with these large white plant pots. As mentioned earlier, you don’t need to stick to the usual pots for your garden. See how this rice basket works as a plant pot? It is not just rice baskets, you can likewise use your extra colanders in the kitchen as your plant container. Meanwhile, if you have old pots lying around you can spruce it up with a fresh coat of paint. 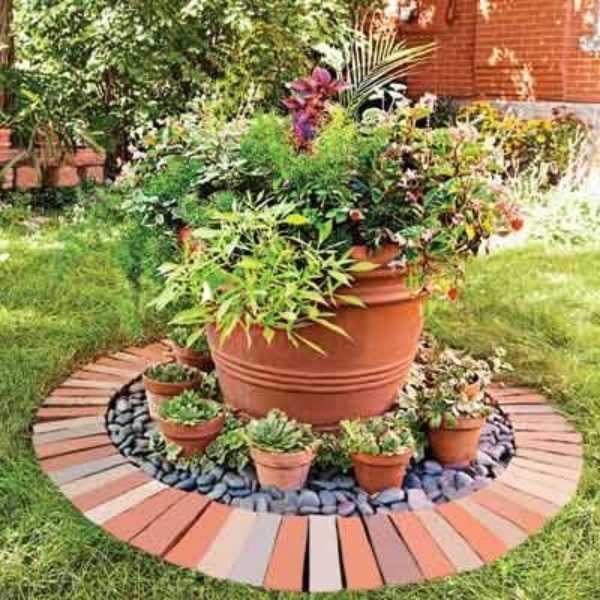 For those with ample space, you can for sure mix and match various size and shapes of your pots. 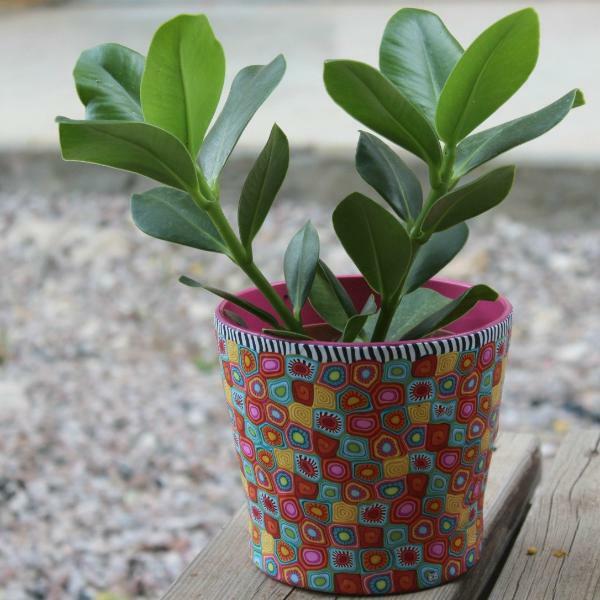 If you want a container that is not too bulky, try this 9 leaf pot plant. 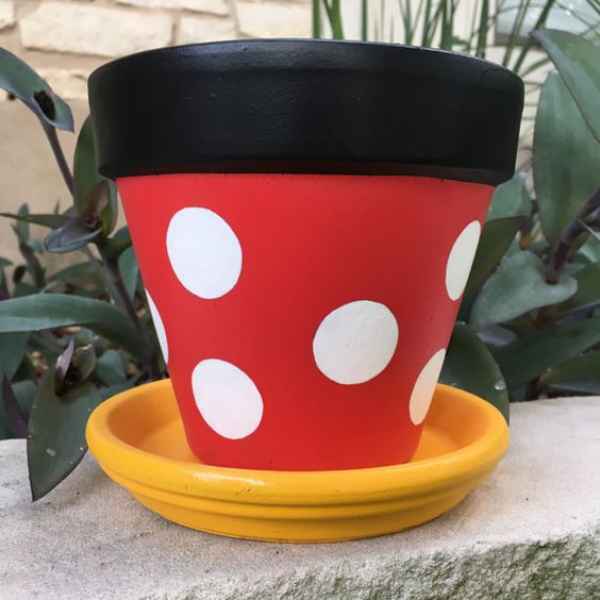 When kids catch a glimpse of this red and black pot with white polka dots, it’ll definitely remind them of Minnie Mouse! 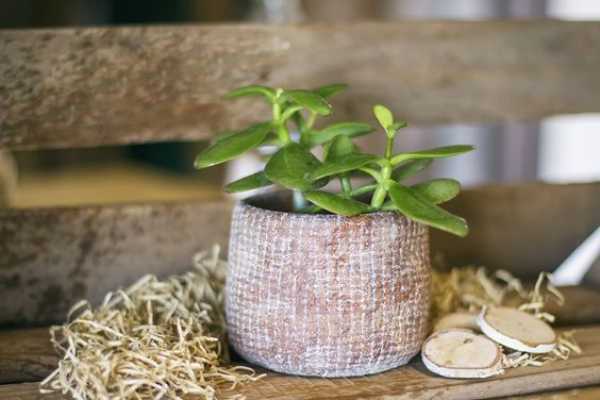 A clay pot provides a vintage feel to your potted garden. Otherwise, you can opt for a pot which is silver and classic. By this time, you now have an idea of the type of plant pots you want to purchase for your garden. Nonetheless, here are a few tips on how to select your pot. First of all, note that it is better to cultivate your plants with sizable pots rather than with small ones. Of course, with large pots, you can place more soil and as a result, your plants or flowers will retain moisture much longer. Aside from that, in using large pots it can withstand drastic temperature changes. Remember when you decide to use little hanging baskets as pots, make sure to water it at least two times a day to prevent it from drying. Another key point to weigh in is to determine what kind of plant do you want to cultivate in each of your pot. 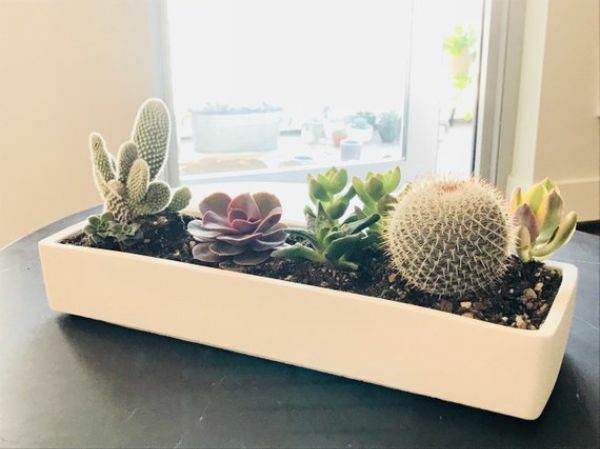 Keep in mind that there are different categories of plants and each category will need varying size and depth for its container. Important to realize also is where you will position your potted garden. In case you will use your veranda, porch or deck assess whether the pots you are eyeing will fit the space and if the framework of the area will hold its weight. In the long run, your plants and flowers whether it is in a typical garden or in plant pots would still require special attention. Don’t forget to water your potted garden on a regular basis. Since your plants and flowers are the essential focus of your garden make sure it always looks its healthiest and finest. You can do this by frequently removing weeds and dried leaves. To ensure your garden looks good, separate plants or pots that clash or don’t blend well.